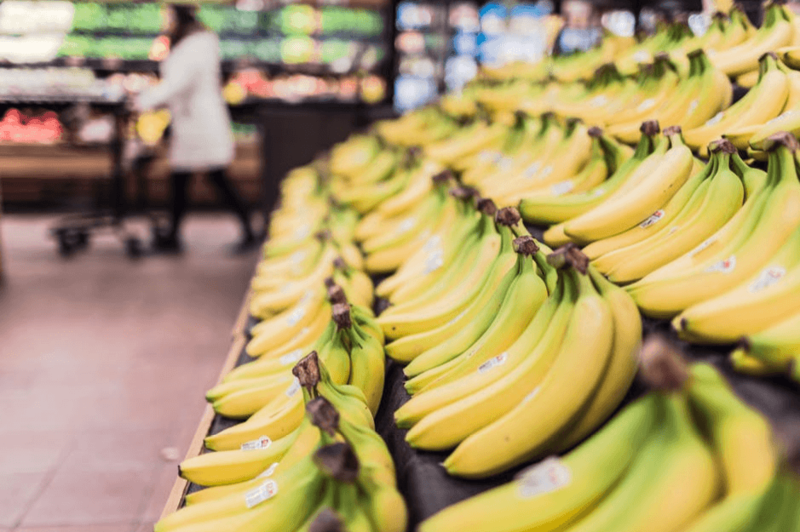 Do Supermarkets Affect Your Property Value? Lloyds Bank has conducted research into how supermarkets could affect properties and the value of properties. From their research, they have found that living near a supermarket can increase your property’s value by £21,500 when compared to properties in nearby areas that are not located near a supermarket. The research also reveals that having a premium or luxury brand near your property, means that the buyers will typically need to pay higher prices. Properties that are located in areas with a Waitrose, Marks & Spencer, or a Sainsbury’s are most likely to have a higher property price premium when compared to the wider town average. Houses near a Waitrose are likely to have the highest house price premium, costing £43,571 which is 12% more than the average house price in the wider town (£420,112 compared to £376,540). Properties that are located near a Marks & Spencer can have a premium of £40,135, followed by houses near a Sainsbury’s (£32,707.) The report suggests that properties located within all three of these supermarket chains can be worth an average premium of 12%. The research also shows that the house price premium for being located near a Marks & Spencer has increased by £10,143 (from £29,992 to £40,135) in the past year, which is the largest increase amongst the supermarket chains. In comparison, the property price premium for living near a Waitrose has increased to a modest £7,000 in the past year. Homes that are located close to a Tesco, which is the UK’s largest supermarket, are also found to have a price premium that is worth over £21,000 (£21,369) more than other properties in the nearby area (£278,647 compared to £257,278). This is closely followed by the Co-operative (£21,020) and Iceland (£17,445) supermarkets. Another interesting piece of information that this research reveals, is that homes that are close to the smaller local supermarkets, such as Tesco Extra, Sainsbury’s Local, or a Little Waitrose can have a higher average price premium of £58,109 when compared with the larger superstores (11% or £30,580). However, it’s actually the properties that are close to the budget supermarkets which were found to have seen the biggest property price increase. The properties that are close to Aldi, Lidl, Asda, and Morrisons have increased by 15% (£29,316) over the past four years. This is a faster rate of growth than for all supermarkets (10%). The research also shows that houses near discount stores can also be popular and the budget supermarkets are catching up at a fast pace. The average house prices in localities with an Aldi are shown to have grown by 20% (from £178,809 to £213,765) over the past four years, which is a much faster growth rate when compared to the rest of the town (16%, from £182,395 to £211,463). Other areas with a local supermarket chain have also shown a fast growth in house prices in the past four years. Areas with a Co-Op have seen house price increases of 16% (from £224,679 to £259,969) and areas with a Morrisons have seen an increase of 14% (from £203,756 to £233,261). Additionally, back in 2014, the property prices that are in the locality with an Aldi had been traded at a discount of -£3,586 than the wider town. However, in 2018, the property prices in the locality with the discount retailer is now able to fetch a higher average house price premium of £2,301, when compared to the rest of the town. Properties located near a Lidl are also valued to be worth £5,411 more than other houses in the nearby area. Stuart Mosely (CeFA, CeMap, CLTM) founded SJ Financial Solutions in June 2005 having spent 12 years with big corporates such as Halifax and Santander. He felt the personal touch and straight speaking was missing from financial and mortgage advice services and set up SJ Financial Solutions to change this. If you would like to book an appointment then please get in touch and we can arrange a suitable time to discuss further. We can arrange appointments at a place and time suitable to you, we can discuss your options over the phone or if you prefer email, then this is fine with us. The guidance and/or advice contained in this website is subject to the UK regulatory regime and is therefore restricted to consumers based in the UK, such personal information may be used to provide you with details of services and products in writing, by email or by telephone. SJ Mortgage Solutions Ltd trading as SJ Financial Solutions, is an appointed representative of HL Partnership Limited which is authorised and regulated by the Financial Conduct Authority. SJ Mortgage Solutions Ltd is a company registered in England and Wales with company number 06008117. The registered office address is 85-187 High Street, Harborne, Birmingham, West Midlands, B17 9QG.